The Horizon 637 is excellent for post-operative patients in need of lateral support. 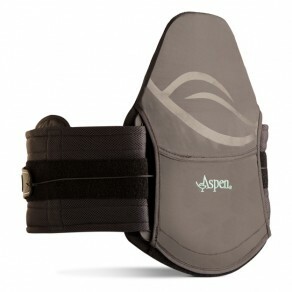 The addition of movable, rigid side panels provide lateral support and a comfortable environment for healing. The Horizon 637 provides compression for patients recovering from surgery or injury. It is one-size adjustable and comfortably fits waists from 24-70 inches, and can be stepped down to the Horizon 631 LSO and also the Horizon PRO for treatment of recurring back conditions.